Due to a number of highly publicized scandals including AIG, Countrywide Financial, Fannie Mae, and Enron, the ability to identify and manage complex business ethics issues has become an important priority. According to Shaw (2008) Enron was the organization that stood out among others because they were showing enormous rates of profit. As a result they quickly became favored by Wall Street and subsequently grew to become the seventh largest company in the US, was highly respected, and was quickly placed on a financial pedestal. 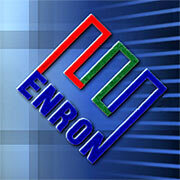 Enron was looked at as innovative, forceful and most important, highly profitable. 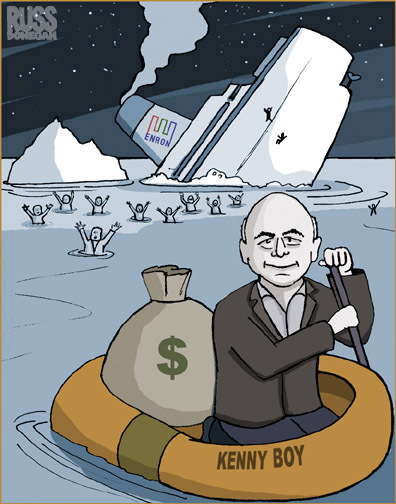 However, the truth was that while CEO Kenneth Lay was recommending stock to his employees, he and other executives were secretly cashing in their own shares and jumping ship. According to Shaw, Enron’s market value was $28 billion just two months prior to their filing bankruptcy. This is the reason shareholders and investors were completely caught by surprise. Unfortunately, the corruption of Enron execs affected more than $1 billion in the retirement accounts of their employees (Shaw, 2008). The leaders created a culture based on personal gain and profit, with a complex and complicated accounting system. In addition, employees were meshing into the corrupted culture because they too were receiving high levels of rewards. The organization established an atmosphere based on financial prowess and illusion. Workers and shareholders were unable and too comfortable with their fortunes to make ethical choices and stand up against the majority who ruled. This is one way corruption thrives. In fact, there are some organizational leaders that initiate new members into their elite boys clubs by taking them out to brothels encouraging them to engage in elicit behavior. This is a well known tactic corrupt leaders used to blackmail employees, should they later have inclinations to become whistler blowers. A poor reputation can damage an organization’s image and destroy the public’s trust. Ferrel and Fraedrich (2012) contend that employer decisions affect more than just those of their employees. In fact, their decisions most likely have impact on shareholders, customers, suppliers, and society as well (Ferrell & Fraedrich, 2012). Making good ethical decisions should be consistent throughout an organization on every level. Evidence revealed that Enron executives, through their operations, informally communicated and designed a culture whose objective was to achieve personal gain and organizational success at whatever cost, regardless of regulations and policies. Additionally, the climate consisted of executives who resorted to public use of vulgarity that created an atmosphere to encourage more of the same behavior from staff members. One reason for this is that some employees look up to their superiors and strive to become like them. Others just want to fit in and partake of the spoils. As a result, they tend to model and absorb similar methods as a justifiable means to an end. Because of Enron’s high level of success, a complicated accounting system to create misdirection in their underhanded practices, and a legal team to support those goals, Enron execs believed their organization was too big to fail. To prevent this from happening, Enron execs should have created a culture that was ethical and responsible from the onset. Instead, they established an organization of people that operated in a corrupted fashion and disguised their unethical behavior under the guise of a very ethical public persona. In addition, Enron’s CEO should have enlisted an auditing firm that had a track record for ethical practices. Shaw’s (2008) research disclosed that Enron’s auditing firm (spearheaded by Arthur Andersen), failed to make Enron’s public records reflect their purported financial reality. Instead, they were focused on their auditing and consulting fees and neglected their fiduciary responsibilities. 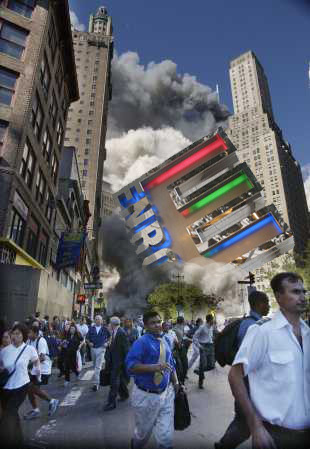 Also, Enron’s CEO should have made sure all documents were turned in to authorities. Instead, one of the partners at the auditing firm was caught shredding incriminating records. Furthermore, Enron’s downfall exposed conflicting interests in Wall Street Analysts who were highly compensated for supporting their investment banking deals. Enron’s CEO should have enlisted Wall Street connections that were engaged in ethical practices. Finally, large banks like Citibank who did business with Enron, also participated in corrupt business operations in their manufacturing fraudulent financial statements (Shaw, 2008). Enron’s leaders should have identified banks that operated ethically. In short, Enron was a well-oiled machine of corruption, reminiscent of organizations run by the Don Corleone family from Mario Puzo’s famous books. Enron had many influential people and corporations “in their pocket” that were also corrupt. This was the strategy they employed to engage in their unethical practices. Officials and staff members looked the other way because of the massive amounts of profits they were receiving. In conclusion, the Enron story is a classic example of how absolute power tends to breed absolute corruption. Ferrell, O., & Fraedrich, J. (2012). Business ethics: Ethical decision making (9th ed.). Mason, OH: South-Western College Publishing. Shaw, W. (2008). Business ethics. Belmont, CA: Thomas Higher Education.